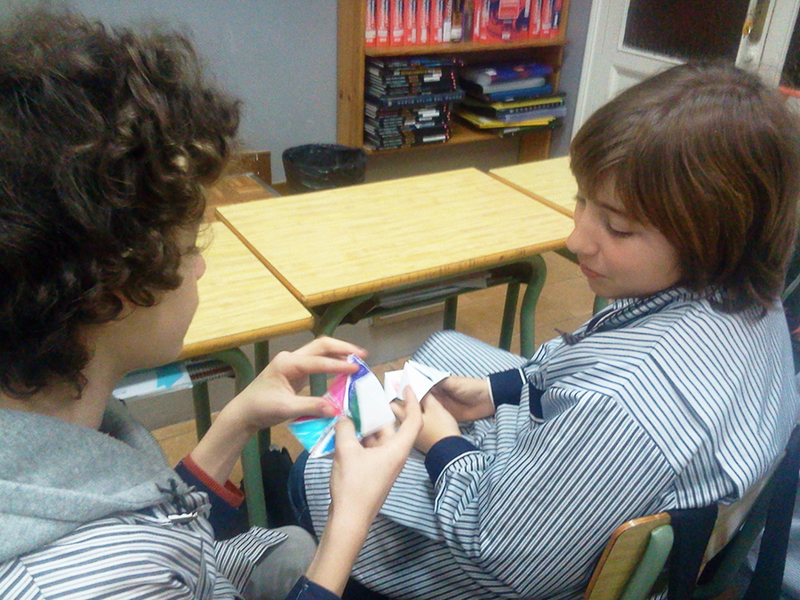 In February, in our weekly 1º ESO speaking classes, we did something a little different. 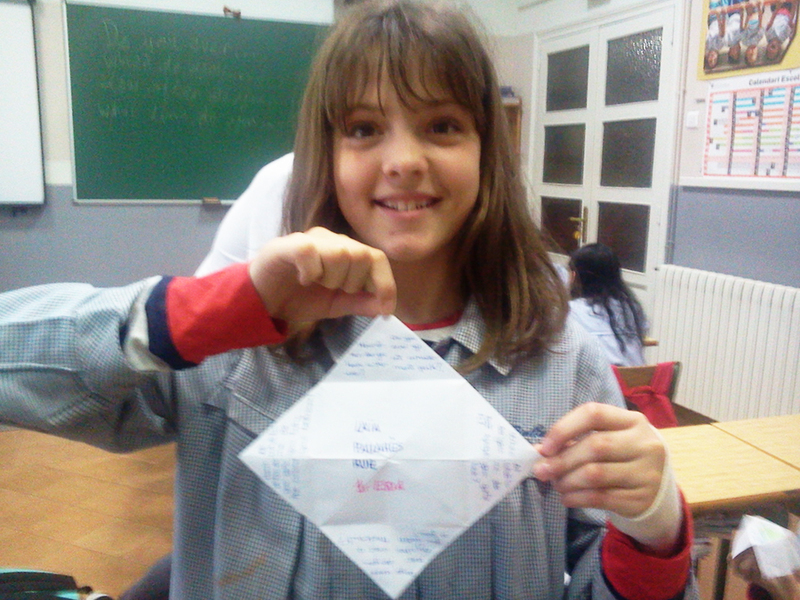 The kids were given paper, and told to fold it into a fun flap (if you aren’t familiar with the name, you’re not alone; I’d never heard the name before, even though I was familiar with the game, and it took my colleague Rosa Maria several years of research to find the correct name). 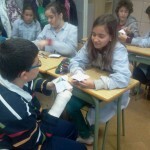 Once they had their fun flaps folded and ready, they began the English work. 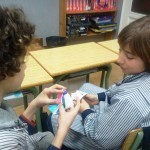 The aim was to practise asking and answering questions in the present simple. 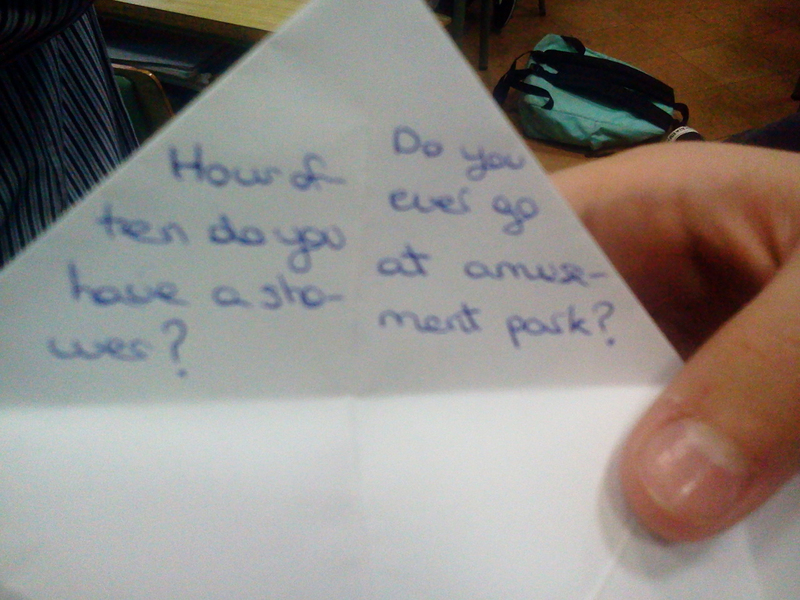 On each flap, the students wrote a question using sentence starters like ‘How often do you…?’ and ‘Do you ever…? 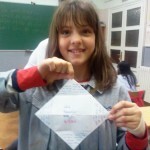 Whilst they were making their fun flaps, I was walking round the class, helping with grammar and springing questions on them with a fun flap I’d made earlier. 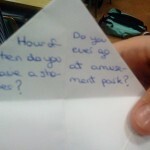 Questions written, the activity began; in pairs, the students played with the fun flaps, asking and answering questions at random, until, at our signal, they changed partners and started again. 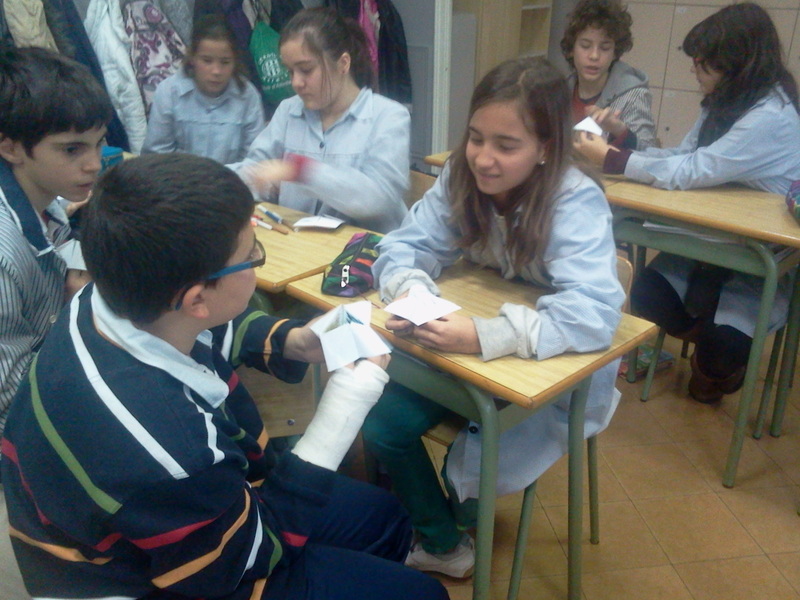 The students really enjoyed the activity; it was something different from what they were used to, and it also gave them the chance to write their own questions. 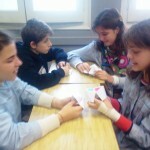 Thinking of their own conversations in English meant that they could have fun with their friends in th e language. 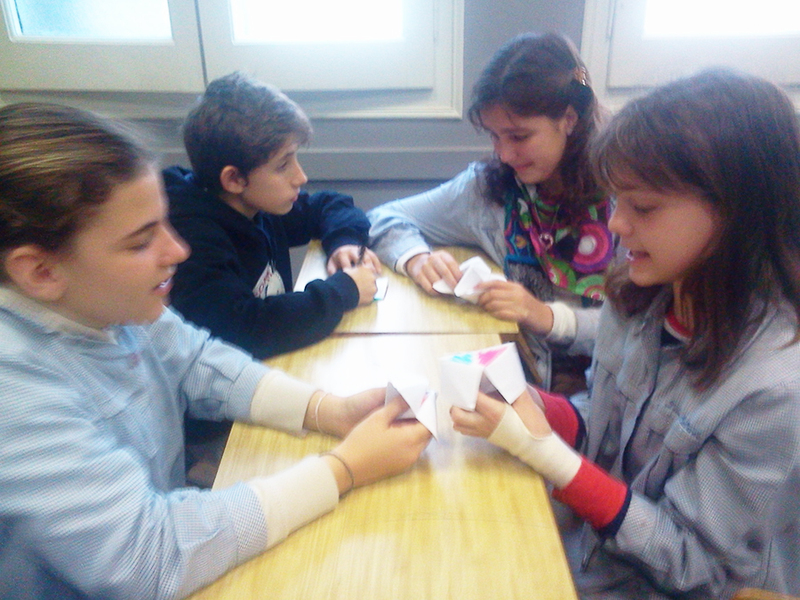 This activity has worked well for lots of other groups as well; in sixth of primary we used fun flaps to work on superlatives, which questions like ‘What is the most beautiful city in your country?’, and in fourth of primary to work on describing animals.